The economics of the internet favor natural monopolies, and some platforms now dominate their markets. They enjoy such high profits that they can quickly capture new markets by buying out competitors or developing a rival service; local startups, including those in developing countries, are left with tiny niche markets. – World Development Report 2016: Digital Dividends, Page 16, [emphasis added]. 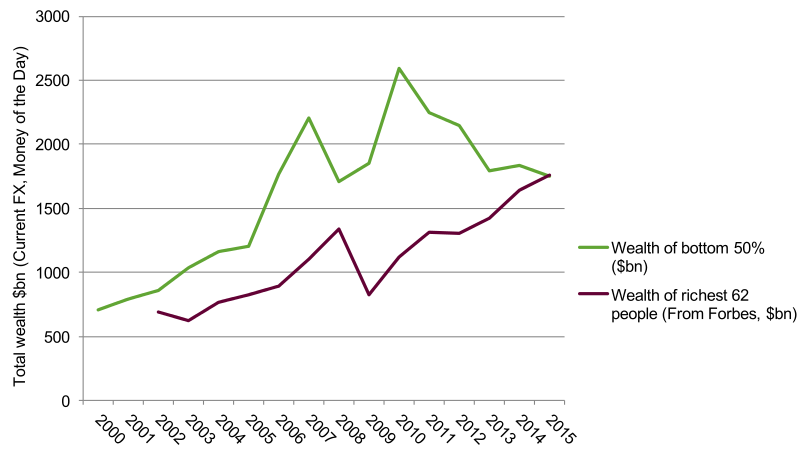 “A new World Bank report says that while the internet, mobile phones and other digital technologies are spreading rapidly throughout the developing world, the anticipated digital dividends of higher growth, more jobs, and better public services have fallen short of expectations, and 60 percent of the world’s population remains excluded from the ever-expanding digital economy.” – World Bank press release [emphasis added]. Google Inc.’s Android operating system has until today generated revenue of $31 billion and $22 billion in profit. Apple Inc. received $1 billion from Google Inc. in 2014, for making Google-search the default option. Which cut can Tanzania expect? The orange-coloured intersection between the big cycle and the small cycle, which the World Bank named 😈 ‘tiny niche market’? Are Google, Facebook etc. paying any taxes in developed countries like Germany or France? So how can Tanzania secure her revenue – which the graphic depicts as “regulatory uncertainty”. Does the World Bank imply that as long as there is no regulation there will be no dividend? In plain English: a chosen start-up is flooded with billions of capital and can afford to offer its services at predatory pricing rates – not looking for profits but accepting losses until all competitors have given up. “Naturally” the company backed by most capital will win this monopoly-gamble. Whose cash is Uber burning? Another expert argues, that by hiding its wealth from taxation, every multinational, be it Google, Facebook or Uber “ends up being parasitic on the community in which it operates”. Currently perusing your Full Report left me with some doubts. 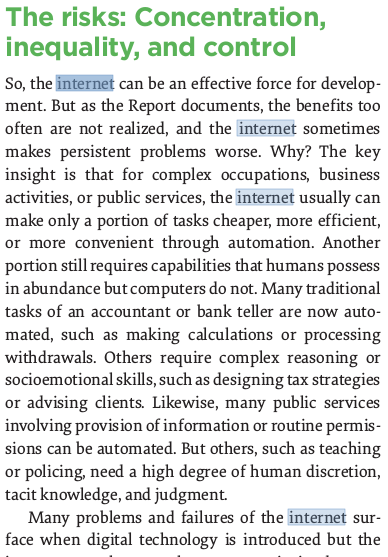 First Question: Please explain why “the internet” is required at all to “automate the tasks of accountants or bank tellers? PCs are indispensable for sure. But even without Local Area Network the automation still works, data-exchange could be performed by flash-disks. Hence, aren’t you praising “the internet’ where praise for “the computer” is due? 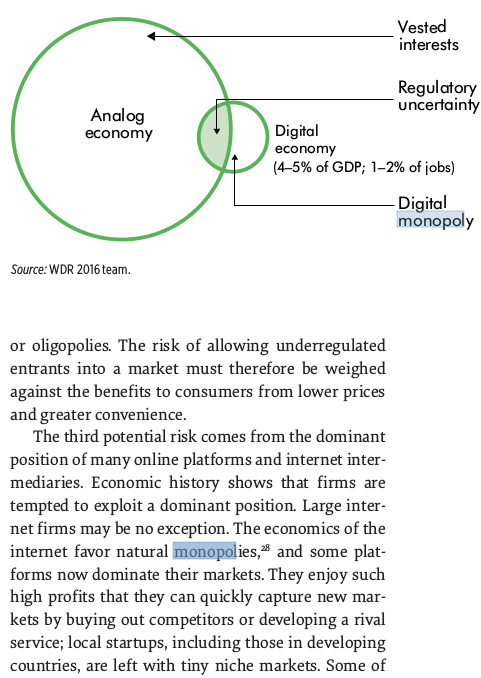 I can’t find your term “Digital Monopoly” explained anywhere on the 359 pages at all. May I assume, that there is a link between this term and your statement that “[t]he economics of the internet favor natural monopolies, and some platforms now dominate their markets.” I assume further, that “Digital Monopoly” is meant as the digital subset of “Natural Monopoly” — with Google and Uber as examples used. 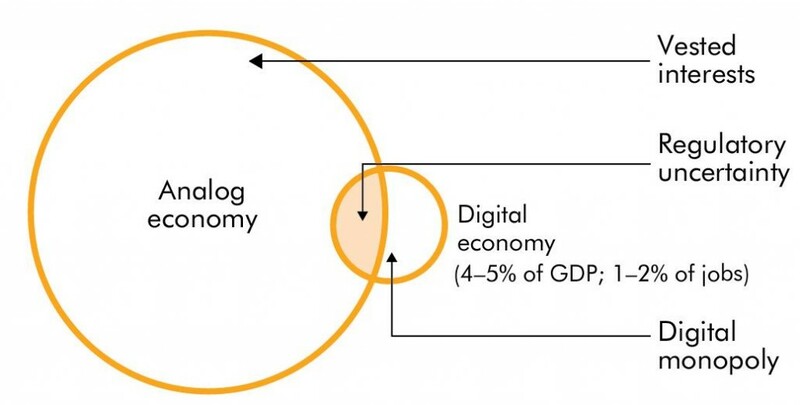 Your diagram is supposed to illustrate the relation and proportion between “Analog economy” (AE) and “Digital economy” (DE). Arguably the circle drawn to represent DE is much smaller than the AE-circle. Second Question: Please explain whether the green-coloured segment of the DE-circle, reaching into the AE-circle, shows an accurate representation of the generated surplus of DE contributed to the common wealth of the domestic economy? I ask, because most of the corporations profiting from a Digital Monopoly as notorious for neither paying taxes nor maintaining offices in most countries they provide services for. Thus shouldn’t a realistic green-coloured segment of the DE-circle have turned-out much smaller, hardly reaching into the AE-circle? Your clarification to 1.and 2. is most appreciated! Dear reader, as soon as I receive an answer I’ll update my post so stay tuned. We see people gathering at a beach at nighttime. 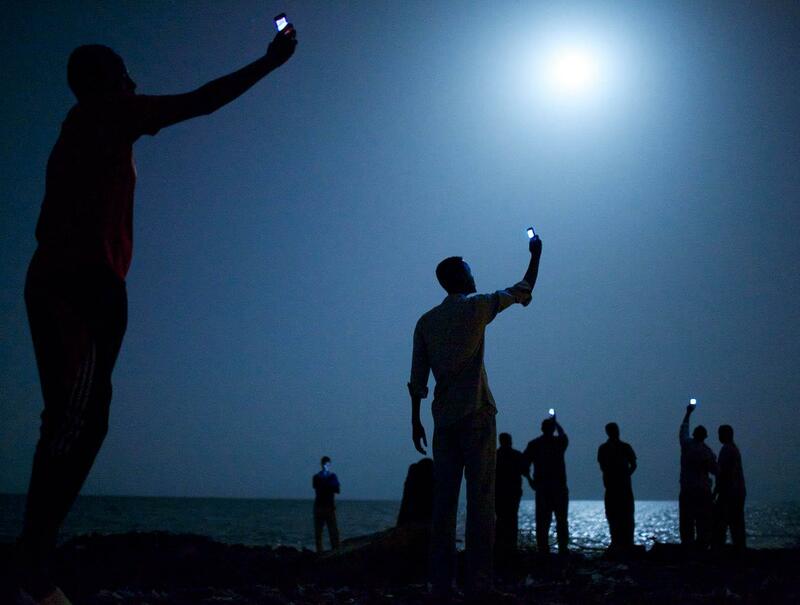 They appear to perform a common ceremony, as everyone holding a mobile device, simultaneously raises it upwards into the sky towards a bright central light. The artistic post-editing of colour and illumination generates the impression of a sacred, spiritual ritual with quasi-religious character by depicting humans as shadows, indicating that the single individual present doesn’t matter, only the common purpose to connect and unite with something greater beyond tangible space and time. By conjuring a subconscious association with ancient pagan rituals to worship the divine sun, the image suggests that modern server–terminal information technology is destined as supreme saviour “to end extreme poverty and boost shared prosperity” (Jim Yong Kim, President of The World Bank Group). Cui Bono – “to whose profit”? At the same time as the World Bank, Oxfam released their study “An Economy For the 1%“, according to which the 62 richest people are as wealthy as the poorest half of world’s population. We must ask ourselves, whether the ICT in its current form, designed and owned by the most wealthy, isn’t rather contributing to inequality instead of alleviating it! Since 2010 the bottom half lost US$1,000,000,000,000,000 (one trillion), their wealth dropped by 41% (!) – wasn’t that the moment when the Internet was supposed to kick-in, to end extreme poverty and boost shared prosperity? Can some people really work 58 million times harder than the most? Or is their income rather a consequence of “natural monopolies”? – or a well-planned, long-term policy “to maintain disparity”? 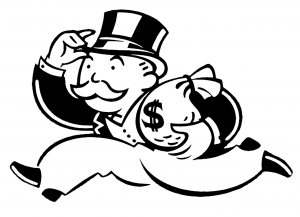 “If you want to create and capture lasting value, look to build a monopoly”, “Monopolies are a good thing for society”. 1. Quoting from his book of 1936 “The General Theory of Employment, Interest and Money”. Keynes’s ideas concerning economic policy were adopted by leading Western economies between the 1940s and 1970s. Thereafter ‘Neoliberalism’ reversed many achievements. 2. Kennan was the mastermind behind U.S. President Truman’s doctrine to contain influence of the Soviet Union, their ally in World War II, since 1947.
which contains tons of useful information, thanks for providing these information.